Vice President of Financial Planning Investment Group, Inc.
Renee graduated from Florida Atlantic University with a B.A. degree in Communications. 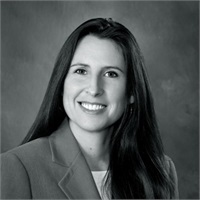 She then joined Financial Planning Investment Group in 1999. Renee specializes in mutual fund and annuity analysis. Since joining the firm, Renee has earned her Series 7, 24 & 66 registrations and her CFP® certification. She also holds licenses in life and health insurance as well as an annuity license. Her areas of focus are portfolio management and annuities.